I decided to give Stodels in Kenilworth another try. I don’t normally go back to places I don’t get good service at, but there were three reasons for giving it another go – Firstly, my previous visit was on The Hottest Day in Cape Town this year. It was seriously uncomfortable and perhaps I was giving off some sort of “don’t even talk to me” vibes, so I thought I should give them another go. Secondly, I get a weekly electronic newsletter from them with a list of their weekly specials. I like that they stay in touch and give existing customers a heads-up about good deals. I think its good marketing and a few things on the this weeks list caught my eye. And my third reason? MD Nick Stodel left a nice comment on my not-so-nice review. That is quite unique – certainly in South Africa and if the MD cares enough about one arbitrary customer to leave a comment on a blog then I think its only fair to give them the benefit of the doubt and try again. Enticed by a special offer I set off on Friday afternoon. Stodels in Kenilworth is about a 10 minute (in traffic) drive from my home. They are my closest nursery, so it would be useful if I could like going there. As I mentioned in my last post, they have a nice selection of pretty much everything garden related – absolutely no problems there. Today I was specifically looking for more spring bulbs and “Cordyline red fountain” which they had on a special. I ended up not buying it but came home with a few Acorus gramineus (Japanese sweet flag). Its an ornamental grass with golden yellow variegation which does well in containers, as edging or ground cover. I have some in my back garden and I love them … so I wanted a few more. 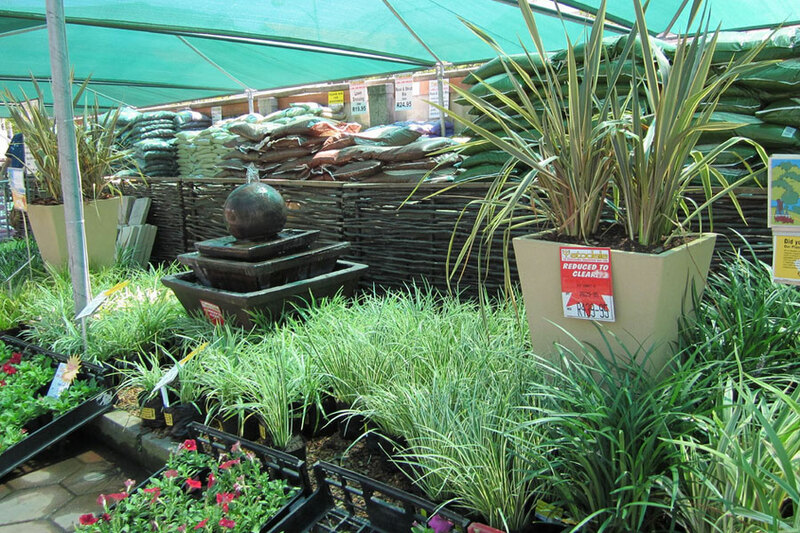 Grabbed 4 of those – nice price, only R12.95 each for nice quality plants. Also bought a whole bunch of bulbs and was thrilled to find that they had bulb planting baskets of which I bought a lot. (I have a mole or vole problem in my garden and am against laying traps so have to protect the bulbs instead). Also got myself a moisture meter and a pH meter. About time I had those in my gardening tool-kit! Lastly, I bought a shrub – a blue potato bush. Barbie has one of these in her garden and I really like it a lot. I think mine will go in a container next to the Veggie planter as it requires full sun. So how was the visit? Service was friendly and great! Whilst I was looking around I was asked a few times if I needed help but in a very pleasant way that allowed me to say I was fine by myself (which I prefer unless I need help). I ended the visit having a chat with three of the ladies who work there who were all very knowledgeable about gardening and were fun to talk to. I then paid for my stuff and left feeling happy and pleased with my purchases. The guy who helped me to the car with my plants was very efficient and friendly and seemed to do a little dance when he got a tip. Very sweet and I appreciated his help. I’m glad I went again. And I will go back! If you live in the Southern Suburbs in Cape Town and need gardening supplies or plants, give them a try. 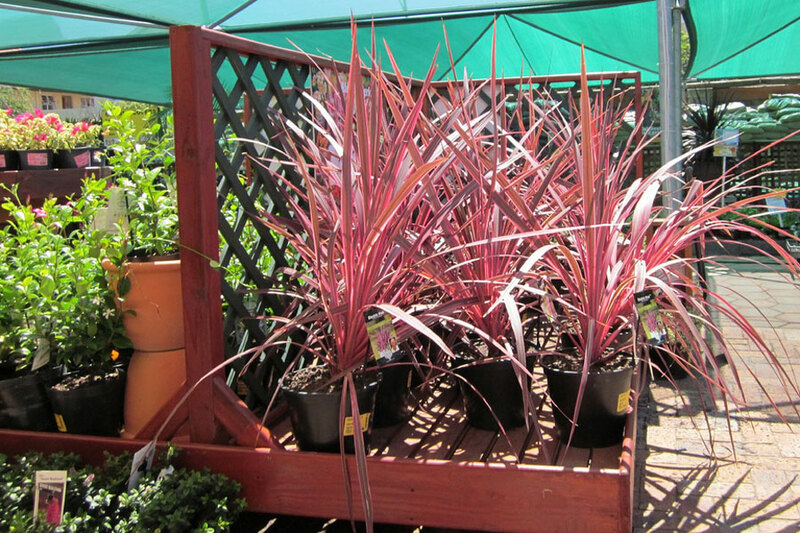 Find them at Stodels Garden Centre in Doncaster Road, Kenilworth or phone 021-6719050. There is plenty of parking and they are open every day from 09h00 to 18h00 except on Sundays when they close at 17h00. So glad you had a better experience on this visit. I know that the team there has been working hard to make sure that they improve. They were also very upset that you didn’t have a good visit last time. I am very lucky to have people in that branch that care so much that they were willing to put the work in to sort out problems. I look forward to seeing what you think of our other branches. Thank you Nick, I certainly look forward to trying the Stodels in Kenilworth. If all staff members have this kind of enthusiasm, I will only enjoy the experience. See you then! I was very impressed with the knowledge of the plants the staff I chatted to had. Better than my fav nursery – and that’s saying something!! So worth a “go to”. Hi Chris, glad you went back and found the service better! I’ll also give them a try when I’m in the area.